Los Angeles, CA – The Price of gold pulled backed from a two week high Thursday just above $1700.00 an ounce on fresh news out of the European Union. This news was interpreted as being bearish by traders, resulting in a decline in global equity markets. This decline led to a selling in gold as positions were liquidated to meet cash needs in equity trading accounts and to cover losses on short U.S. dollar trading positions. 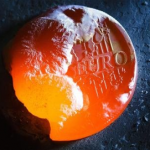 Earlier in the week, Standard and Poor’s threatened to downgrade the credit ratings of 15 Euro currency nations. This spooked the market and stirred investor frustration with the leaders of the EU. The European Central Bank is also rumored to be considering the lending of 600 billion Euros to the IMF to help contain the sovereign debt crisis, which had mixed reactions in the U.S. Stock Market. “The truth is that markets in the whole world right now don’t trust the euro area at all” German Finance Minister Wolfgang Schaeuble said in a statement to S&P. In addition, Schaeuble emphasized to European leaders that they must “do what we’ve promised, namely to take the necessary decisions step-by-step and win back the confidence of global investors”. Thursday and Friday, The European Central Bank will be conducting a summit in attempt to create concrete and decisive steps to resolve the debt crisis. With this, the ECB may announce a variety of measures to stimulate bank lending. These options include ECB cash and longer-term loan lending to institutions in addition to loosening collateral criteria. As all eyes and ears look to Friday’s EU summit, the price of gold has fallen in a price wedge, fluctuating between $1650 and $1800. 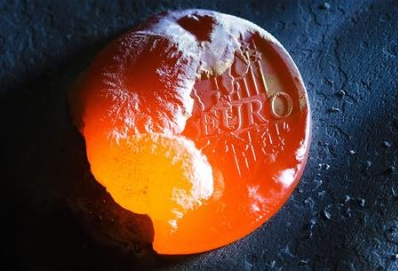 Financial analysts predict that good or bad news out of Europe, Gold as a safe-haven investment will more than likely be positive moving into 2012. Gold has risen in value for 11 consecutive years and is a rock-solid hedge against inflation and a weakening U.S. dollar. Investing in Gold and Silver is easier than ever; to learn how you can roll over your IRA or former 401k into a tax-free Gold IRA, please contact American Bullion Inc. at 1-800-326-9598 or email us here.